My Mother's Basement is a platform for emerging artists to present their work to the public through alternative spaces. Entirely not for profit, the intention is to give burgeoning artists and curators the opportunity to gain experience and exposure through the display of work that would otherwise remain stored away from view. All images on this site are the sole property of the artists who produced them. * MMBGallery was featured on A View On Canadian Art's "Shout Out To The Art World: VoCA's Top Ten"
The Landscaped brings together past and upcoming My Mother’s Basement Gallery artists to engage new audiences and communities, featuring Melissa Espina, Melanie Gausden, Caitlyn Hoskin, Cortney Stephenson and Ilana Van Zyl: five artists whose work articulates different perspectives of the Canadian landscape. 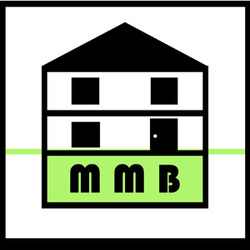 MyMothersBasementGallery.com is a platform for emerging artists to present their work through alternative spaces. Primarily housed as an online gallery with a monthly rotating exhibition, My Mother’s Basement gives an opportunity for burgeoning artists and curators to gain experience and exposure for their work. The Landscaped will be the first in a series of shows in partnership with SOHO Lobby Gallery, an exhibition space dedicated to showcasing emerging and under-represented artists.